Heliotherapy has been practiced since the days of the early Greeks, and even the great Hippocrates was an advocate of the sun’s healing properties. Far from being dangerous, controlled and moderate exposure to sunlight has numerous benefits that can aid skin, bones and one’s mental mindset. Here are some great reasons to take that seaside vacation idea off the back-burner and start planning today. What is heliotherapy all about? The science of heliotherapy is simple and treatment is free; all that is needed is some fresh air and sunshine. It’s a holistic approach to the healing energy of light that has been somewhat forgotten in modern times. It relies on the power of sunlight to regulate Vitamin D levels in order to keep bodies healthier and minds less cluttered. Vitamin D is crucial to maintaining health, and sunshine is the best way to get a good shot of it. When Vitamin D levels are brought into optimal range, advantages to the body include lower blood pressure, better regulated blood sugar, healthier cholesterol levels and a stronger immune system. Vitamin D regulates the absorption of calcium and phosphorus and is important for the growth and development of bones and teeth. It also aids the immune system and improves resistance against certain diseases. 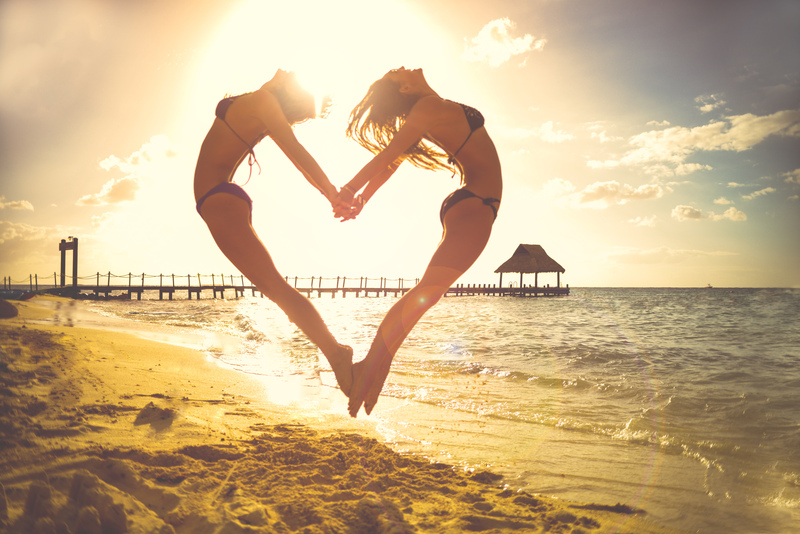 Not getting enough of the sunshine drug can lead to bone and muscular pain, stress fractures and tiredness. Besides the feelgood factor of just soaking up some rays for a while, sunlight provides a vast array of essential minerals. Iron, magnesium, sodium and carbon, among others, are all transmitted in refined form, penetrating the body in an enduring, safe and pleasant way that far outweighs what comes in tablet form. Contrary to what is the norm, heliotherapy advocates get out into the sun (albeit for closely monitored periods) during the sun’s peak hours, around noon. This is the time when UVB exposure is at its highest, as opposed to the morning and late afternoon when UVA is peaking. Unlike UVB, UVA doesn’t help produce Vitamin D through the skin and is also the UV ray associated with melanoma. At noon, you get a balance of both, and the opportunity to get Vitamin D levels up naturally. Having a complexion lighter than Snow White doesn’t mean the sun should be constantly avoided. However, those with very fair complexions – or who come from colder, northern regions – should practice additional caution when settling down on a sun-lounger. Ten to fifteen minutes is all that is needed to start topping up Vitamin D levels and, as the body begins to gain a bronze glow, this time can be extended. On the other hand, those with darker complexions may need a bit more than a quarter of an hour before starting to reap the health benefits of the sun’s rays. The flush of a tan, blended with beach sand, seas salt, sun lotion, and the fresh sea air can also have a profound effect on the mind. Vitamin D helps regulate sleep, so don’t be surprised if you feel the need to climb into bed after a day at the beach. Sound and peaceful slumber is within easier reach when the body gets enough sunshine. Sufficient levels of Vitamin D have also shown to help regulate mood swings and assist in warding off depression, as well as contribute to controlling anxiety.